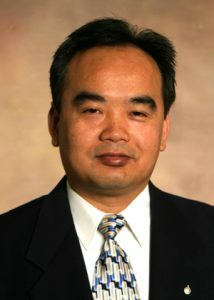 The NASA Iowa Space Grant Consortium (ISGC) selected a proposal by Hui Hu, professor of aerospace engineering, that would build a stronger relationship between NASA and Iowa State University. Hu wrote a proposal seeking “support to establish a research and education integrated program to facilitate the long-term research and education collaboration” between Iowa State and the Icing Branch at NASA Glenn Research Center. The base program would utilize ISU’s unique icing research wind tunnel and the technical strengths and expertise of the college’s researchers. “Graduate and undergraduate students with no prior skills will be educated and get ‘on-the-job’ training to gain knowledge related to aircraft icing and anti-/de-icing technology,” wrote Hu. The goal of this new program, effective for 3 years starting on May 16, is to bring ISU to NASA, help faculty members and postdoctoral students visit and get involved in research with NASA, and involve the federal agent’s own researchers to campus. Hu wants a program to train students and support a visit to NASA centers, which would hopefully get more Iowa State students internships there. The specific goal is four to six visits per year and at least two students to intern. The ISGC strives to “stimulate research education and outreach activities throughout the state that contribute to NASA’s mission,” according to a request for proposals for a new base program at Iowa State. The call for proposals was sent out in December 2013. The Icing Branch at NASA isn’t new to Hu; he currently has another award from NASA to study the icing of aircraft wings and wind turbine blades using Iowa State’s Icing Research Tunnel.